Crow’s Nest restaurant, one of Alaska’s premier dining destinations, is located at The Hotel Captain Cook, in downtown Anchorage. 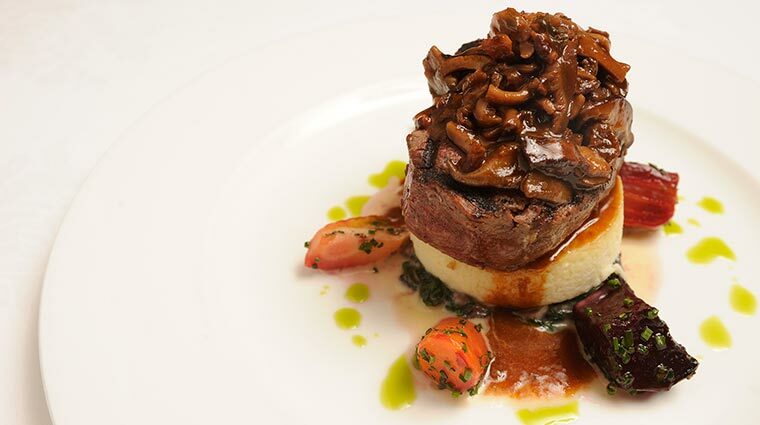 The hotel, built after the devastating earthquake of 1964, remains a top choice for visitors and locals alike for its exceptional service and innovative cuisine cooked up by chef Reuben Gerber. 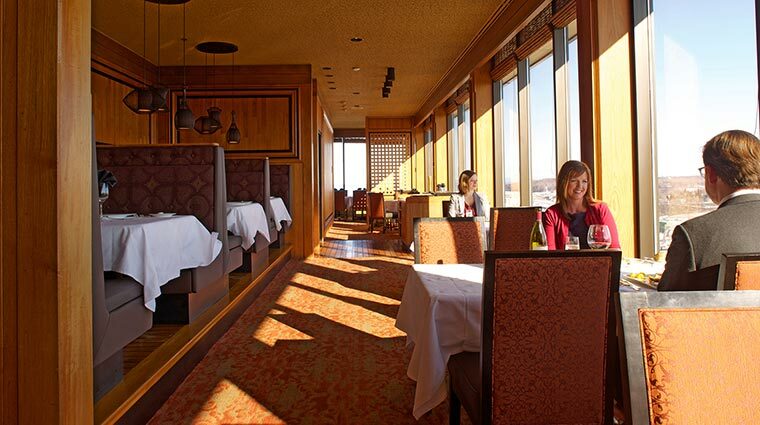 This establishment, perched atop Tower 3 of The Hotel Captain Cook, offers 360-degree views of the amazing Alaskan landscape, including the Chugach Mountains, the Cook Inlet, and Majestic Denali National Park. 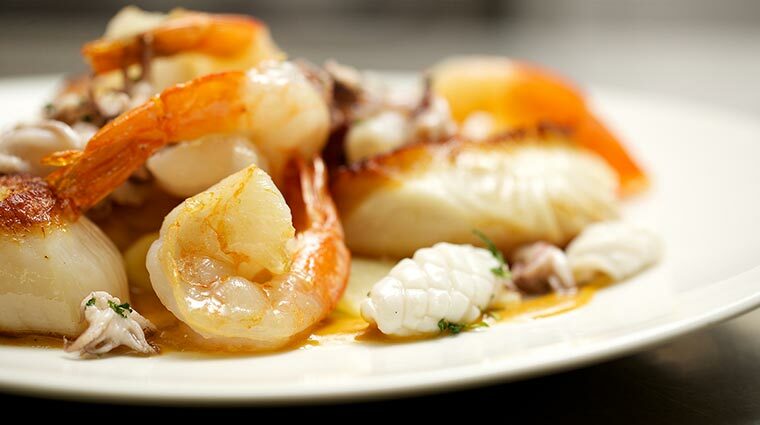 The lounge and full dinner menu include a wide range of regional specialties, with local wild seafood as a highlight. 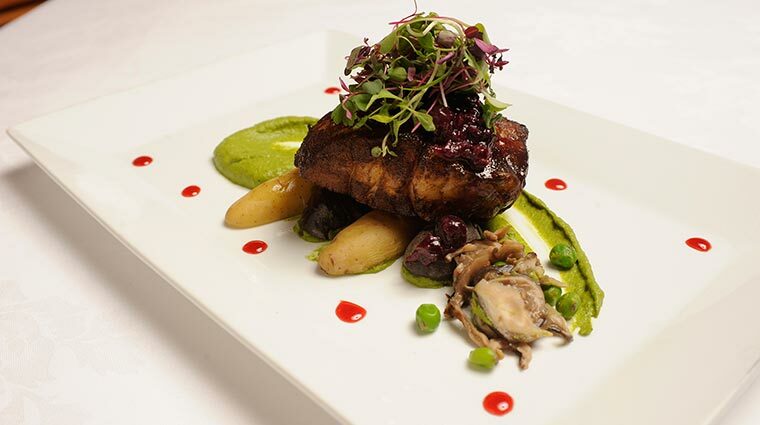 • You’ll feel pampered from the minute you walk in and are greeted by a welcoming host; the service is exceptional and mimics all the love coming from the kitchen by chef Gerber and his crew. • Thanks to its great location, you’ll be steps away from shopping, museums, and a scenic 20-plus mile Coastal Trail that leads to Kincaid Park. After a full day of exploring, there’s no better way to restore your strength and sustenance than by sitting down to a meal at the Crow’s Nest. 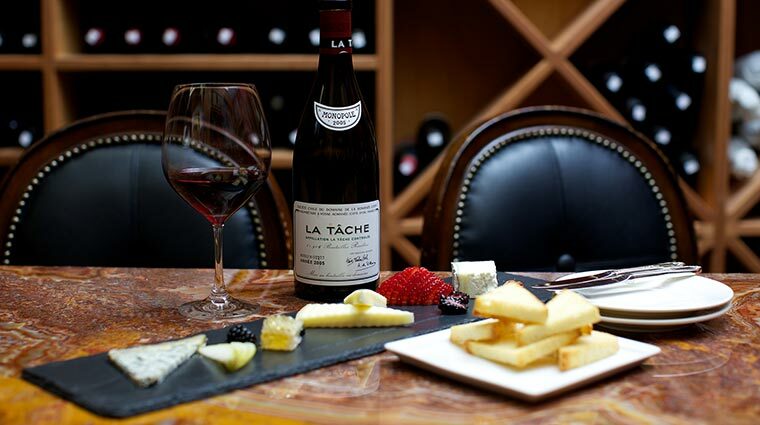 • Check with the knowledgeable and passionate sommelier, Thomas Laret, about wine cellar tours, with optional cheese and wine pairings. • There truly isn’t a bad seat in the house. 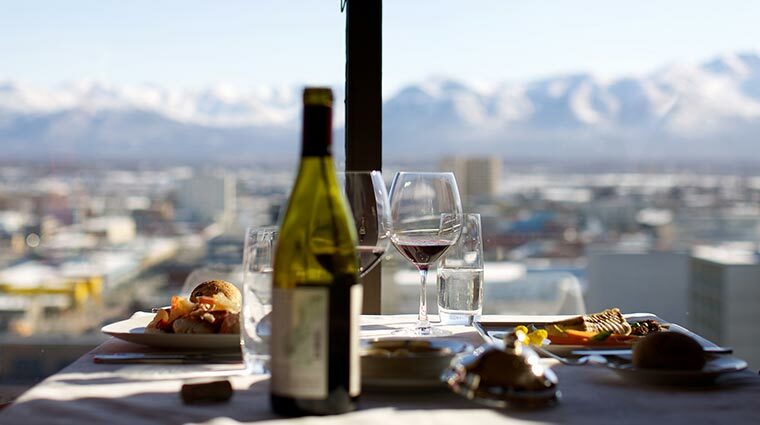 Any table you choose offers stunning 360-degree views of either the Chugach Mountains, the Cook Inlet, and, on a clear day, Majestic Denali National Park. • To accompany your meal, choose from an impressive 10,000-bottle wine cellar with an emphasis on treasures from France, Italy, and the Pacific Northwest. • Although the restaurant opens at 5 p.m. for dinner and closes at 12 a.m. Mondays through Saturdays, you should keep in mind that the last dinner reservation time slot is at 9:30 p.m.
• There is no need to make reservations for the lounge where you can order from a complete dining menu as well as the lounge appetizer menu. 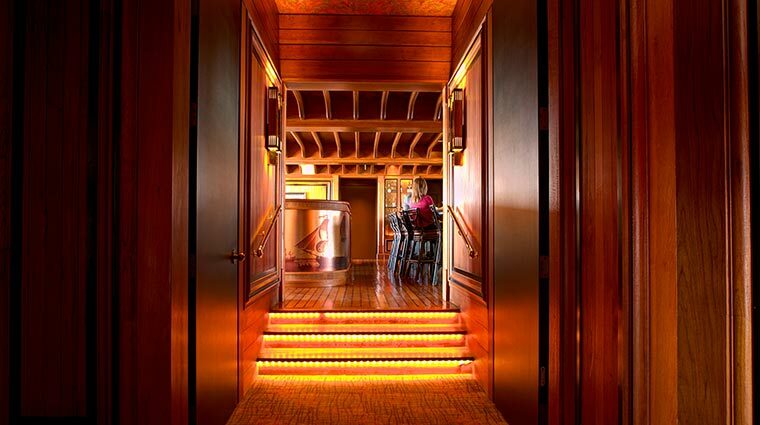 • The dress code at Crow’s Nest, which is located inside of The Hotel Captain Cook, is smart casual. Usually, when it comes to dress codes and dining in Alaska, it’s almost a non-issue, with comfort and warmth often taking precedence over style. 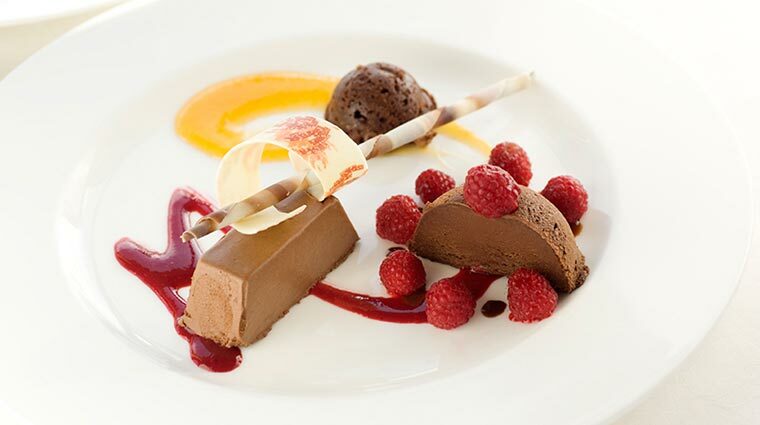 • Chef Reuben Gerber’s cuisine features the best of Alaska’s bounty, cooked with French and Italian techniques—think foie gras with gooseberries; mushroom soup with brandy-poached pairs; and Alaska bouillabaisse with King crab, sablefish and weathervane scallops. • Start off with the delicious house-made charcuterie before delving into a dish of rabbit three ways or a pimenton-crusted rib eye. 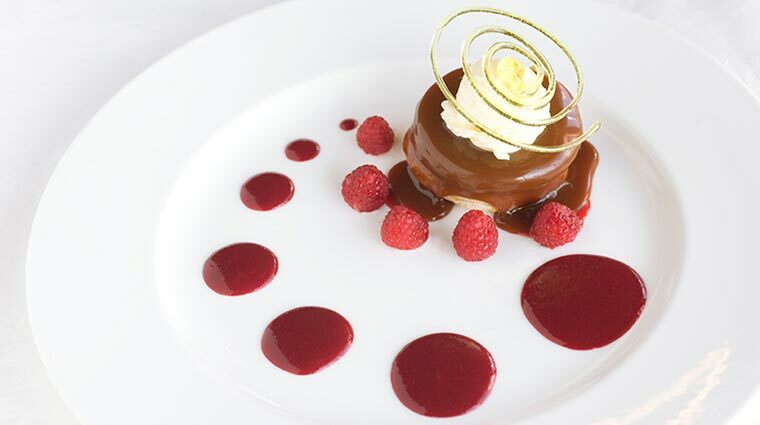 • For those with a sweet tooth, you might consider starting with dessert to make sure you get to taste the champagne and caramel poached pear with gorgonzola gelato or classics such as crème brûlée and bananas Foster. • Try perfect small bites in the lounge, such as the house-made duck prosciutto or a King and Dungeness crab cake with horseradish vinaigrette. • After studying organic farming in Israel, chef de cuisine Reuben Gerber honed his culinary techniques by studying in California, France and Italy. 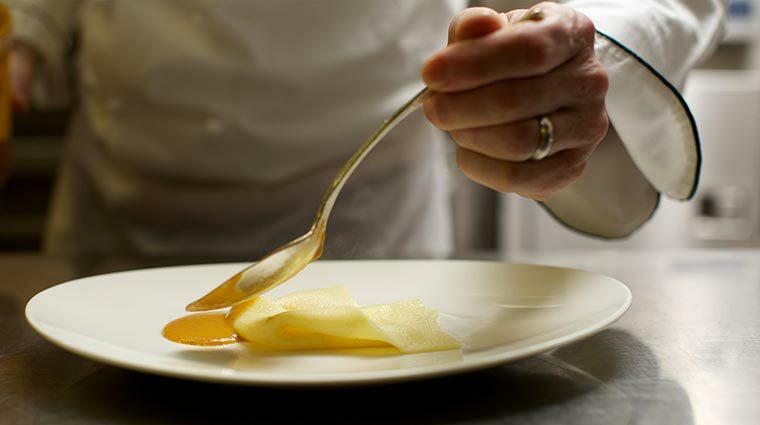 • Chef Gerber’s fine dining experience includes working with chef Jean Pierre Dubray at Forbes Travel Guide Four-Star Andrea at Five-Star The Resort on Pelican Hill, and later at the St. Regis at Monarch Beach in California. • Chef Gerber moved to Alaska in pursuit of sustainable seafood, clean air and water and to quench his thirst for the outdoors.